Hi there tech fan and mobile app developer, news just in as reported by BBC this week. It has come to the attention of SAN Parks that Mobile apps that share information about animal sightings have become "a major cause for concern", according to the authority that runs national parks in South Africa. Visitors to Kruger National Park are keen to chalk up sightings of the big five game animals, including rhinos, lions and elephants. 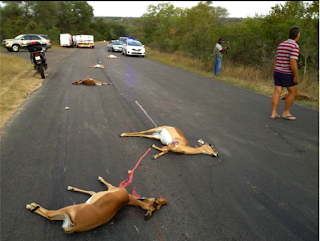 "Their use had led to a rise in lawlessness in parks, including speeding, congestion and animal deaths, it had been inundated with complaints from customers about the use of such apps", said South African National Parks. 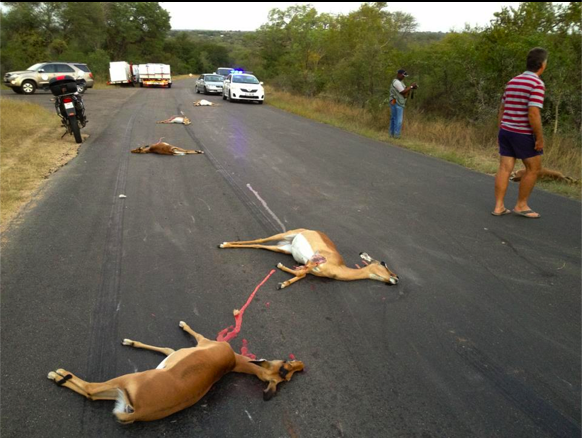 Back in 2012 a building contractor had been fined R2500 for killing at least seven impala while speeding in the Kruger National Park (KNP). said KNP spokesman William Mabasa. "As an organization, we appreciate the fact that technology has evolved and that guests are taking advantage of it," said SAN Parks managing executive of marketing Hapiloe Sello. "However, this is compromising the values of good game viewing in national parks as most guests appreciate the leisurely drive through the parks and the potential reward of a good sighting as a key element of the visitor experience." "The use of these mobile applications is in direct contradiction to the ethos of responsible tourism, and we discourage the use as they tend to induce an unhealthy sense of eagerness for visitors to break the rules." Therefore South African National Parks is now considering banning them. Ms Sello said SAN Parks had seen a rise in reports of road rage as well as incidents in which animals had been run over and killed, since such apps had become popular. She added that the organisation was considering "legal mechanisms" to curtail the use of sighting apps. 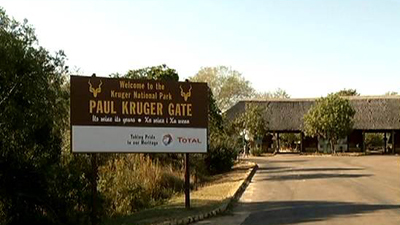 The Latest Kruger Sightings app advertises itself on the Google Play site as a way for users to "share wildlife sightings in real-time with other visitors in the game reserve. "You never have to drive around the whole day, seeing nothing. You can now see the magnificent big five, such as the lion and the leopard, every day on your safari," it says in its blurb. The app's founder, Nadav Ossendryver, told the BBC he wanted to "work with the park to solve the issues". 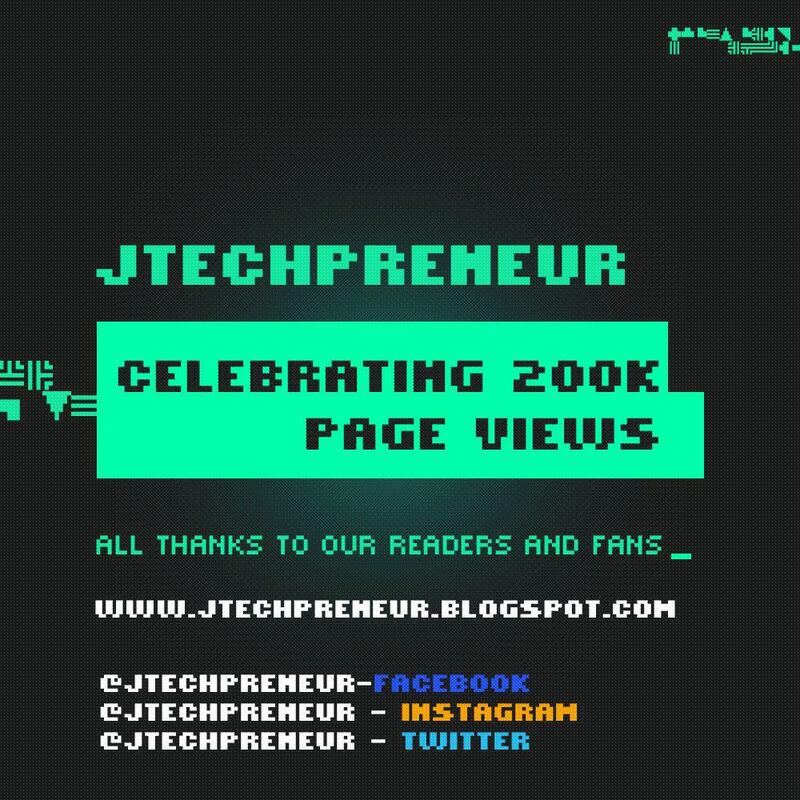 The 19-year-old developer set up the app when he was 15. "I am a huge wildlife enthusiast and I wanted to maximise my time in the park and create a community of wildlife enthusiasts," he said. "The app is all about enriching people's experience in the park - but if there are other effects, then we need to look at that."